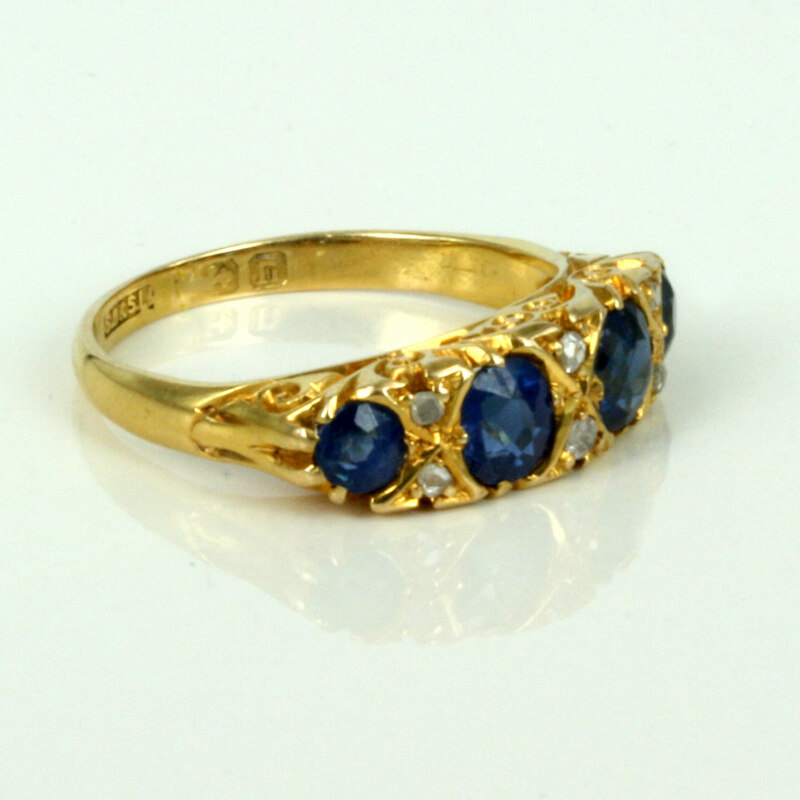 Sapphire and diamond ring made in 1912. Product code: 1487 Categories: Sold Items, Sold Rings. This sapphire and diamond ring is just perfect and shows such wonderful work on the side of the ring, as great sparkle from the stones. 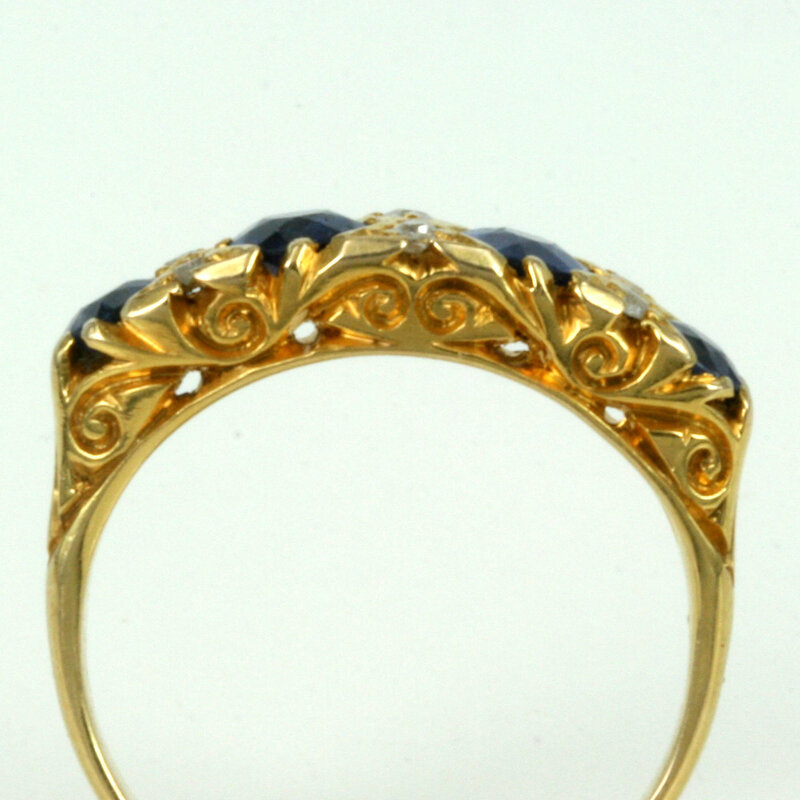 All hand made in 18ct yellow gold, it is set with three wonderful blue sapphires that total 1.60 carats, with 6 diamonds giving the ring some more sparkle. There is so much detail in this ring, and is what separates many of the antique rings from the modern rings in a similar style. Sitting so well on the finger and great for any occasion, this sapphire and diamond ring would also make a perfect engagement ring.